Click on full screen icon for an incredible view. More on today's Earth Day March for Science here. 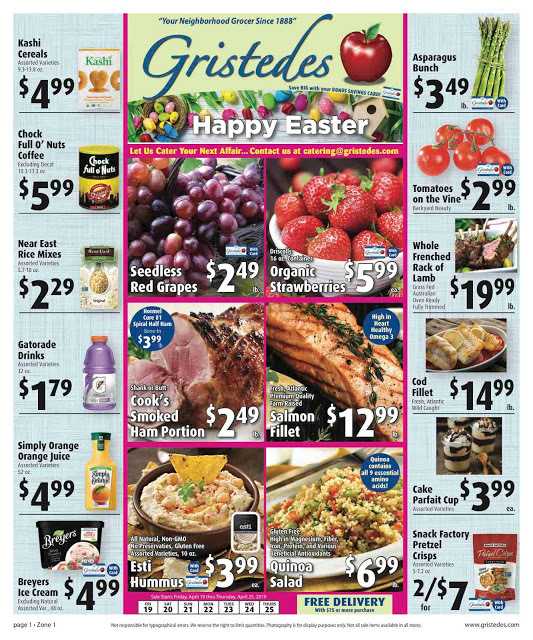 remained closed until further notice because of a leak discovered on Saturday, April 8. Some good news. 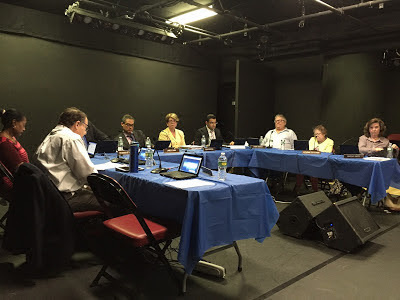 Roosevelt Island Operating Corp (RIOC) President Susan Rosenthal reported to the April 20 RIOC Board of Directors meeting that repairs to the pool are underway and almost completed. 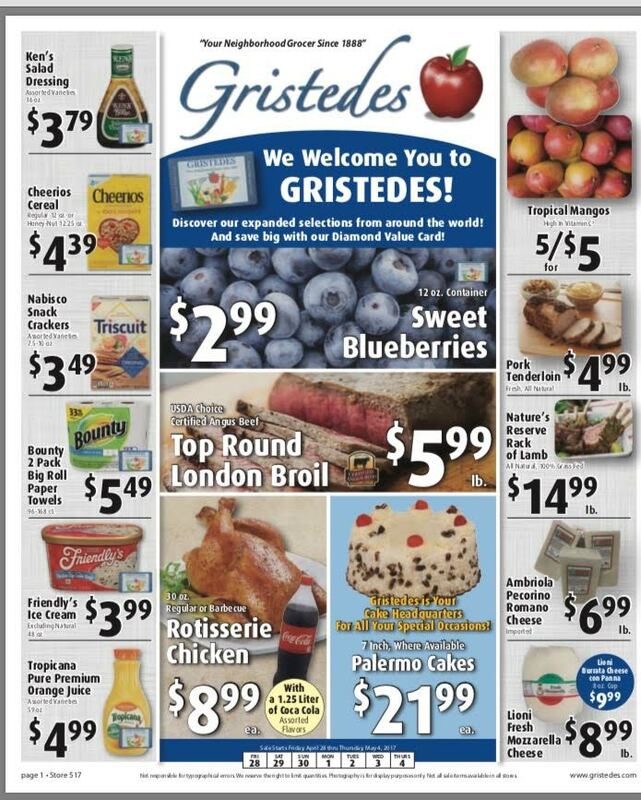 Ms Rosenthal expects (hopes?) the pool will be open by May 1. One thing we learned is we can't just respond to problems. We have to look at these old buildings and other infrastructure around the Island and do work before there is a problem. That's going to be challenging for us. It's been tough but I apologize to the community.... It's not the fault of anyone other than it's an old building. Things have not been updated over the years. Please be advised that, due to equipment failure, the Sportspark pool remains closed for repairs. 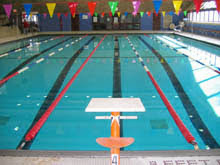 RIOC staff is working closely with pool specialists to address the issue and expects the pool to re-open on Monday, May 1st. 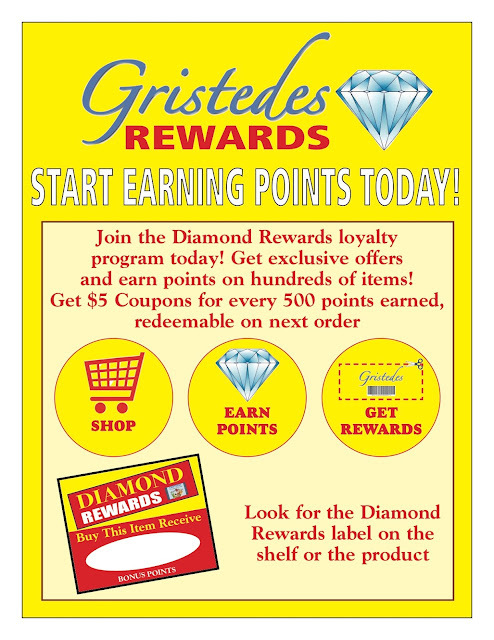 Diamond Rewards customer loyalty program items for April 21 - May 4 are now available . That's 18 weekends in a row of Roosevelt Island F train service to and from Manhattan. The last Roosevelt Island weekend F train service disruption was December 16-19, 2016. 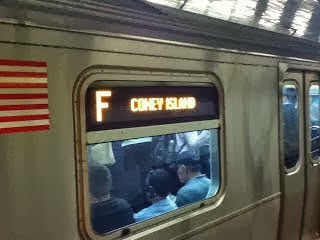 MTA has advised that due to a power outage there is NO "F" train service in either direction. 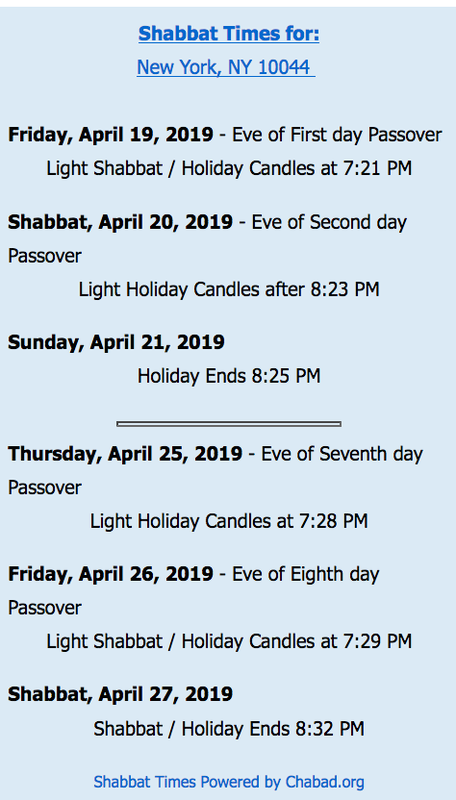 Please plan your travel accordingly and visit mta.info or call 511 for more information. The line for the North side of the tram is past sports park. The queue for the tram is really long now. @NYCTSubway When will we move? It's been almost an hour stuck on the F line at Roosevelt island. Please help. @mtanowf best way out of roosevelt island rn is the tram!! Get in line asap! Donr bither going into the station. Trains are so fucked I’m waiting for a cab on Roosevelt Island. Similar situation happened March 9 and January 9. Governor Andrew M. Cuomo today directed the New York State Department of Public Service and the Metropolitan Transportation Authority to conduct an immediate investigation into Con Edison’s equipment failure that led to significant delays across MTA New York City Transit subways this morning. New York City Transit subways experienced a loss of station power at the Seventh Avenue Station in Manhattan due to a Con Edison equipment failure. The outage resulted in the loss of signals, escalators, communications and station lighting. MTA New York City Transit immediately deployed MTA generators to the station to restore the signals allowing trains to bypass the station. Service has resumed with residual delays. "The loss of power due to a Con Edison equipment failure during the morning rush hour caused a cascading effect and impacted the lives of thousands of commuters. Simply put, this was completely unacceptable and I am directing the Department of Public Service and the MTA to conduct an immediate investigation into the Con Edison equipment failure, the cause of the outage and the response to it. The New York City subway system is the lifeblood of the city and a critical means of transportation for millions of people, which is why we are making unprecedented capital investments into modernizing the system. The MTA will continue to deploy emergency resources to address the short-term issues, and our investigation will address all aspects of today’s events to get to the bottom of what happened." Island Kids is a not for profit organization providing support to the families of Roosevelt Island by offering affordable, quality enrichment opportunities and support groups. Programming includes enrichment classes for babies, toddlers and pre schoolers, support programs and workshops for parents and caregivers, a summer camp program for children aged 4-10 and an After School Program at PS/IS 217. 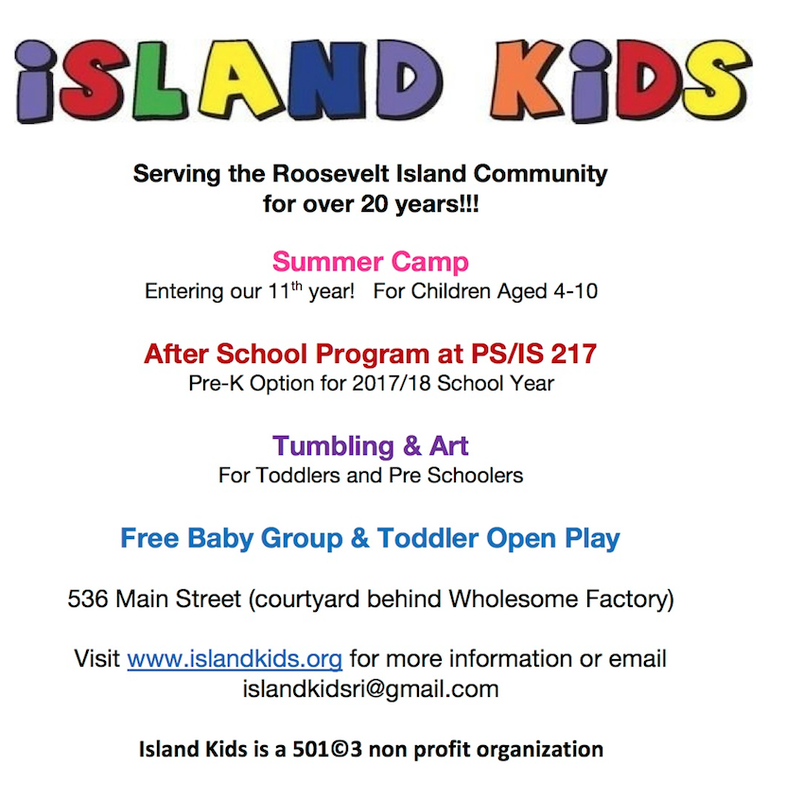 Island Kids stands firm in its mission to serve the entire Roosevelt Island Community and therefore offers scholarships to those who might otherwise not be able to participate in our programs. ... $2,963,705 to the Roosevelt Island Operating Corporation to construct a bike-only ramp to the Roosevelt Island Bridge. ... Can the project go forward now or is more money needed? 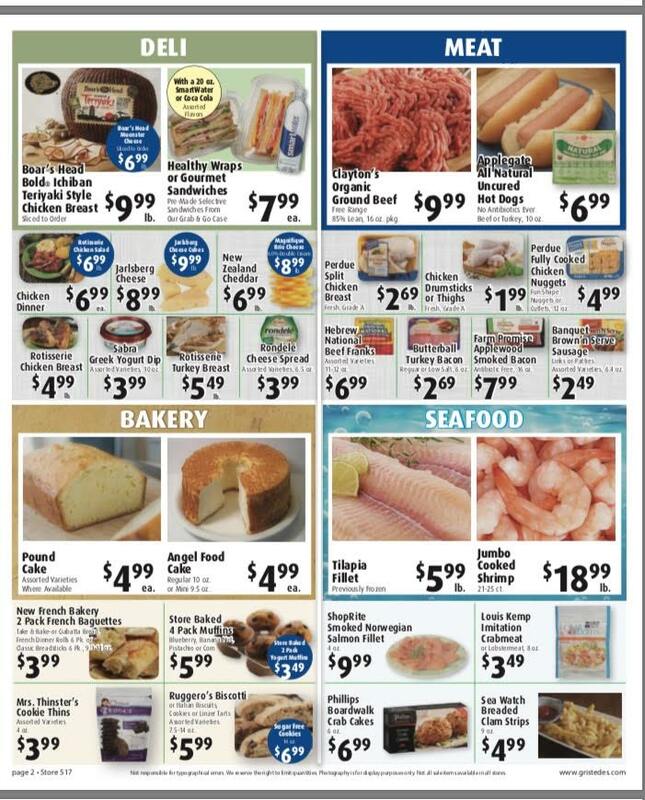 $2.963!! The project is going forward NOW. We will be preparing the scope of work for the RFP seeking a structural engineer. The agreements regarding the grant are yet to be seen, however. Note that before the grant, we spoke to a number of officials who expressed an interest in the project and we intend to revisit those interested parties. 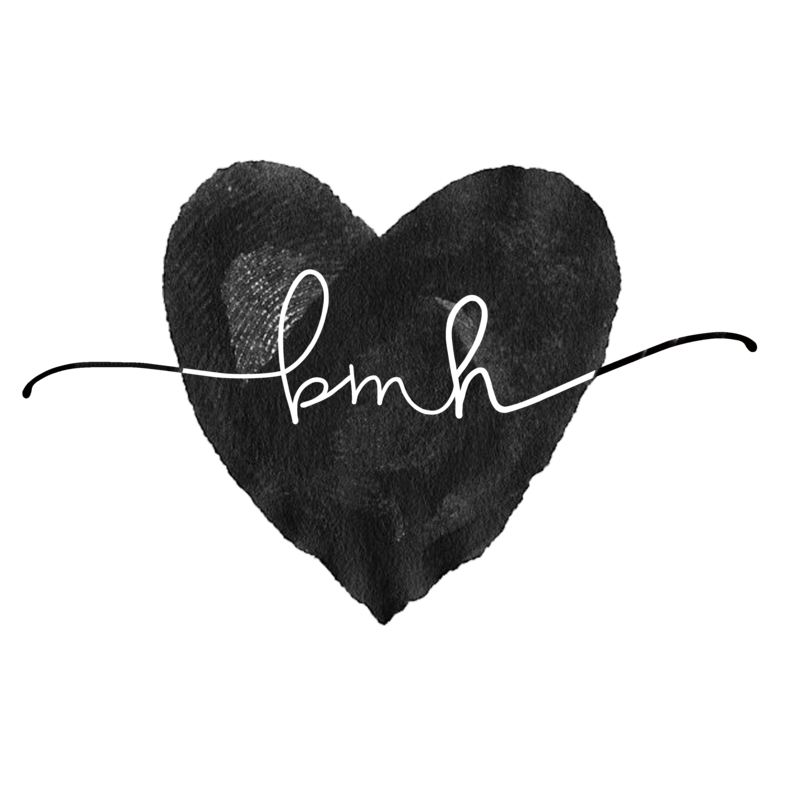 We are so excited about the project! 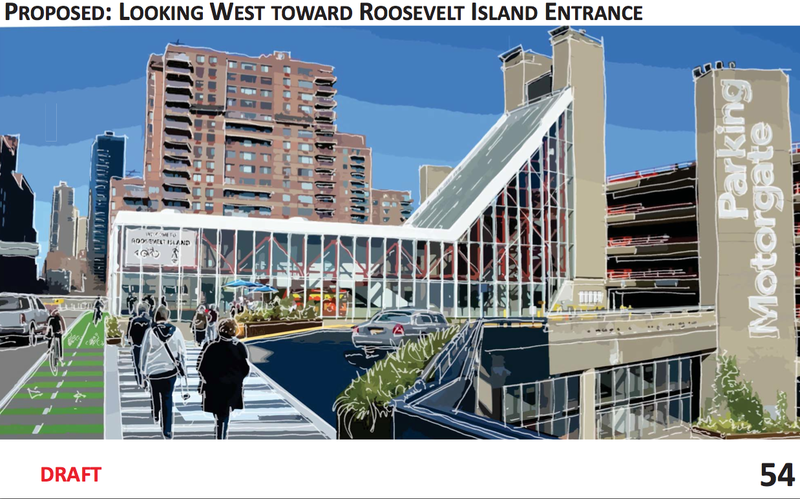 Below are renderings of the fully funded Roosevelt Island Bridge Bike ramp from RIOC. The Roosevelt Island community has long been waiting for a bike-only ramp to allow cyclists an easy and safe connection to the Roosevelt Island Bridge. 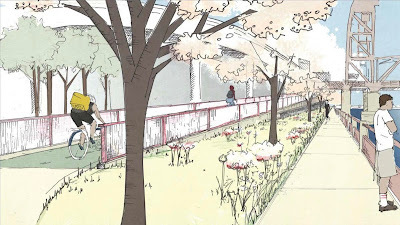 Thanks to Governor Cuomo, nearly $3 million in federal dollars are being allocated to this ramp so the connection can become a reality. 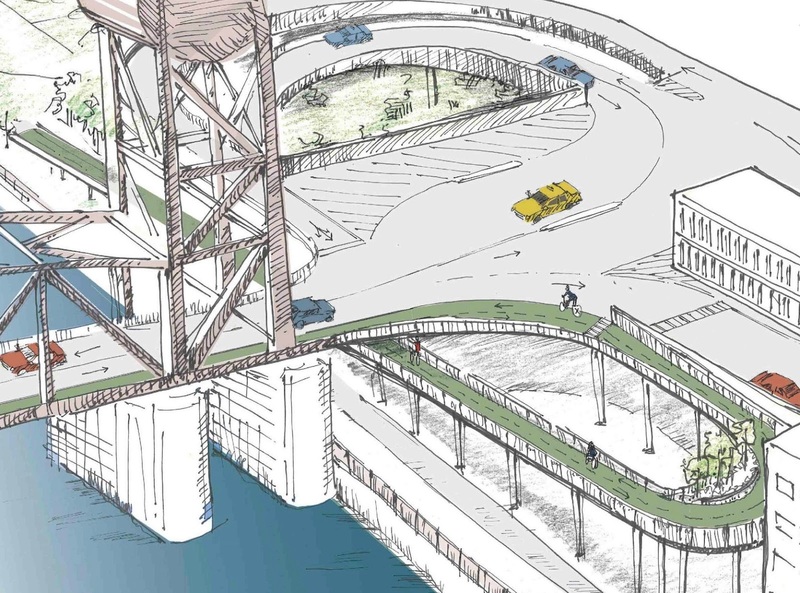 Cyclists will no longer have to carry their bikes up flights of stairs, or risk their safety by sharing the helix ramp with cars. It’s great that the state, federal government and community are working together to make Roosevelt Island a safer, more accessible place. During the March 29 Cornell Tech Roosevelt Island Town Hall Meeting, Cornell Tech's Assistant Director of Government & Community Relations Jane Swanson reported on the proposed Roosevelt Island Bridge Bike Ramp. 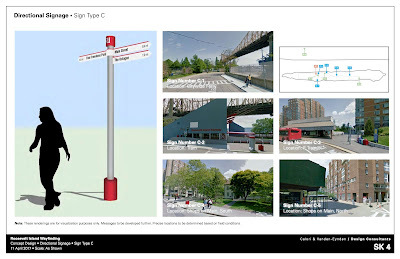 Good job by RIOC and Cornell Tech. Now, let's see if RIOC can get a qualified bidder for the RFP to do the bike ramp project. The RIOC VOTE is in! It literally took a village..... 30+ volunteers, at 12 sites, who devoted 90+ man-hours of labor! Thanks for the hard work of each and every volunteer who made this process possible! Special thanks to Margie Smith who helped educate our candidates and the community about the importance of this vote. And extra appreciation to Bill Weiss and Laura Hussey who gave additional time to help tally the voting results. 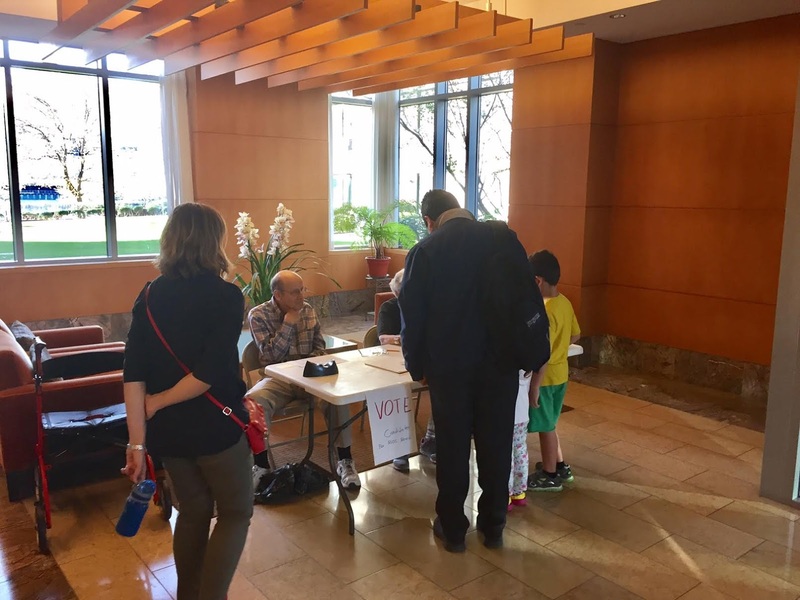 And special thanks to the Managing Agents at 455 Main St, Rivercross, Manhattan Park, Westview, Island House, Octagon and Roosevelt Landings for their help in providing tables and access to their lobbies for this important vote! Video of the April 12 Meet the RIOC Board Nominee Candidate night is here. Howard Polivy, David Kraut and Michael Shinozaki are long time RIOC Board Directors currently serving. Mr. Polivy and Mr. Kraut did not give their permission to be placed on the election ballot and were not participants in any pre-election publicity. Mr. Shinozaki did agree to participate in the election. All the other nominee candidates actively participated in the election process. The election is not without controversy. Claims of ballot fraud, which I am not going to get into right now, have been raised. Click here to read all about the election controversy in this comments thread. 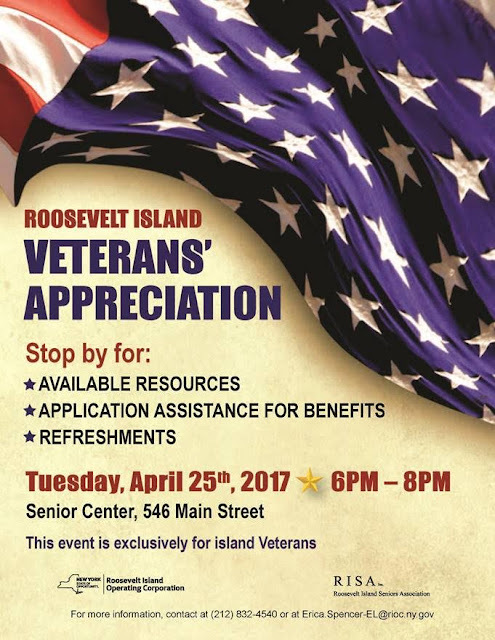 The Roosevelt Island Operating Corp (RIOC) Board of Directors will meet tomorrow evening, April 20 at the Cultural Center (548 Main Street). Among the items on the Agenda is the amendment of the Master Retail Lease with Hudson Related and the purchase of two new diesel Red Buses. 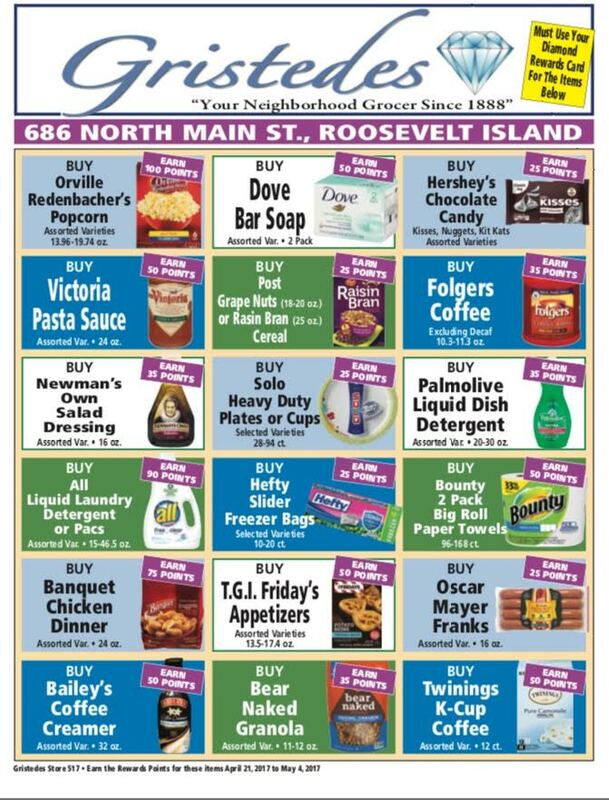 The Master Retail Lease item was added to the Agenda late today. No information yet what that may be about. One June 23, 2016, the Board approved the purchase of two diesel buses. This was due to an aging bus fleet that will need to be phased out over time. The purchase of the two new buses has alleviated several issues, however, supply shortages and higher repair costs still exists with a predominantly older bus fleet. As part of an allotted 6-year budget plan, from 2016 through 2022, all of the current aging buses on the fleet will be replaced. The RIOC Operations Department contacted three commuter bus manufacturers. Two manufactures (New Flyer and Nova) offered their prices, while the third (Gilig) did not submit a price. Below is a summary of the bids received, including company, model, price and other relevant information. These bids were evaluated based on specifications desired, intercompany history and price. 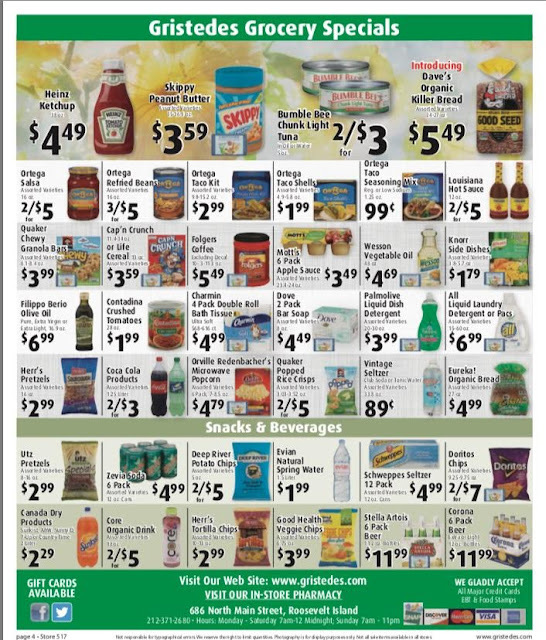 New Flyer Industries Inc. is our recommended vendor, as they offer competitive pricing, meet all of the Department of Operations requirements and RIOC has a long standing business relationship. 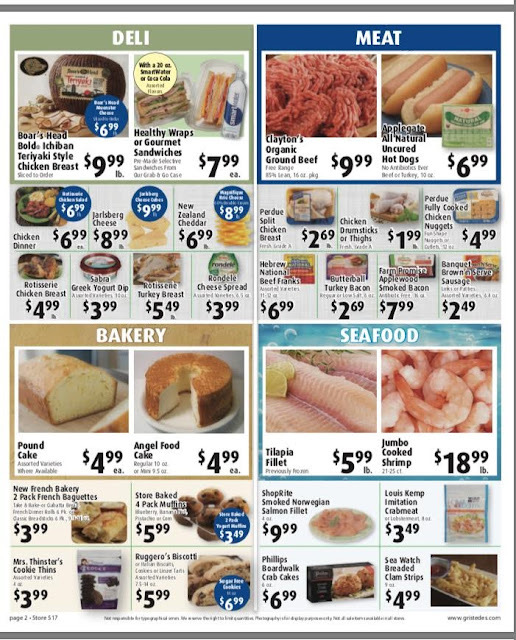 New Flyer is the leading manufacturer of heavy-duty buses in the U.S. and Canada, headquartered in Winnipeg, Manitoba, Canada. RIOC and New Flyer have been conducting business together for over 20 years, starting with a purchase of four buses in 1994. A New Flyer bus that was purchased in May of 1994 was put out of service on November 3rd, 2009, lasting over 15 years. Moreover, the two most recent purchases have performed exceedingly well. All this highlights the reliability and durability of New Flyer buses. In addition to the proven quality of the buses, New Flyer’s knowledgeable mechanics impress RIOC and strengthens our recommendation to award the contract to the company. RIOC’s Department of Operations requests an authorization for an amount not-to-exceed $430,694 per bus, for a total price of $861,388 towards the purchase of two buses from New Flyer. Here'e April 19 Memo from RIOC President Susan Rosenthal to the RIOC Board describing the proposal. More info from the Bowery Boys and a look back at Mae West - Why Don't You Come Up And See Me Sometime. Roosevelt Island's Gallery RIVAA invites you to an evening of Slam Poetry Friday, April 21. 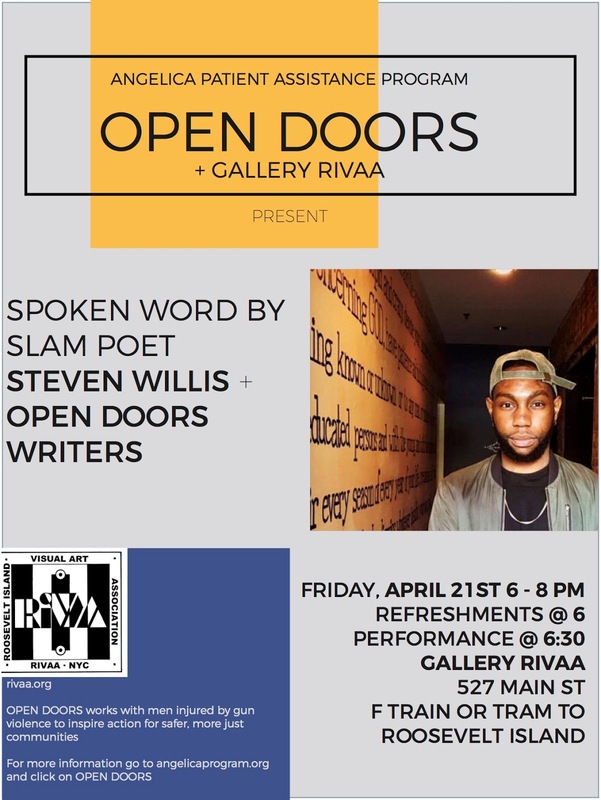 You are cordially invited to a special event "Spoken Word by Slam Poet Steven Willis + OPEN DOORS Writers" on Friday April 21st, from 6-8pm at Gallery RIVAA. World Slam Poetry Finalist Steven Willis mixes elements of hip hop with history in his explosive spoken-word art. At Gallery RIVAA, Willis will be performing with OPEN DOORS participants who live at NYC Health + Hospitals/Coler on Roosevelt Island. OPEN DOORS works with men affected by gun violence to improve their lives and inspire action for safer, more just communities. OPEN DOORS connects Coler Hospital residents affected by gun violence with the resources to improve their lives and use their stories to inspire action for safer, more just communities. Since OPEN DOORS’ launch in June 2016, the project has established creativity workshops, where our clients frame, develop, and share their experiences, with guidance from visiting artists. Through these workshops and one-on-one coaching, clients identify personal goals to enrich their lives, and ultimately, to reintegrate into the communities from which they’ve been cut off. Here's some Slam Poetry from Steven Willis. 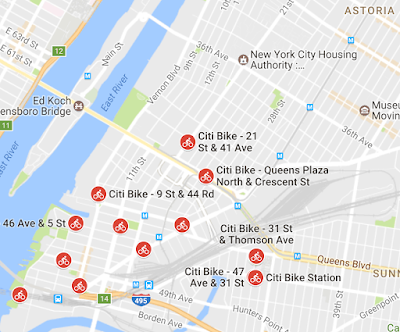 The first batch of Citi Bikes will be rolling in to Astoria sometime this summer. 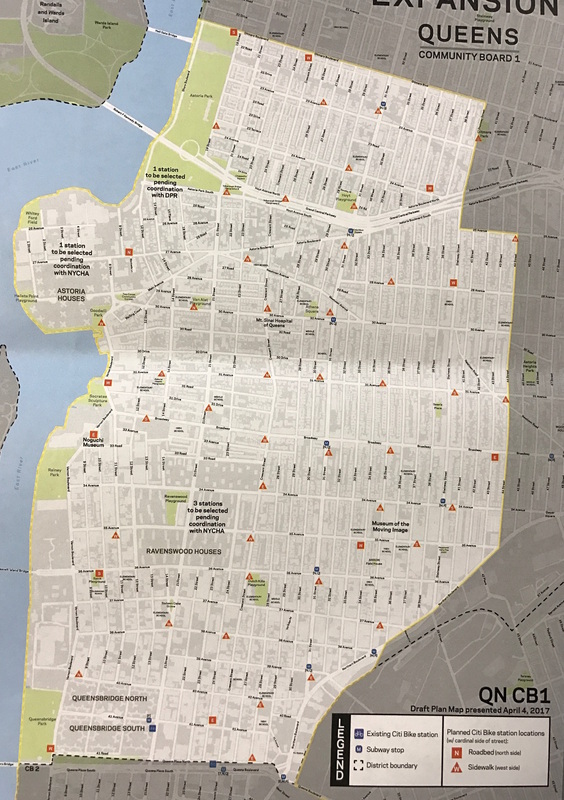 The Department of Transportation presented a map of 59 proposed locations for Citi Bike docking stations at a Community Board 1 Transportation Committee meeting last night, though DOT is still looking for feedback on the proposed locations. 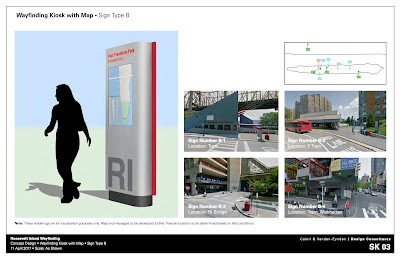 and Roosevelt Island was the neighborhood with most request for Citibike docking stations. 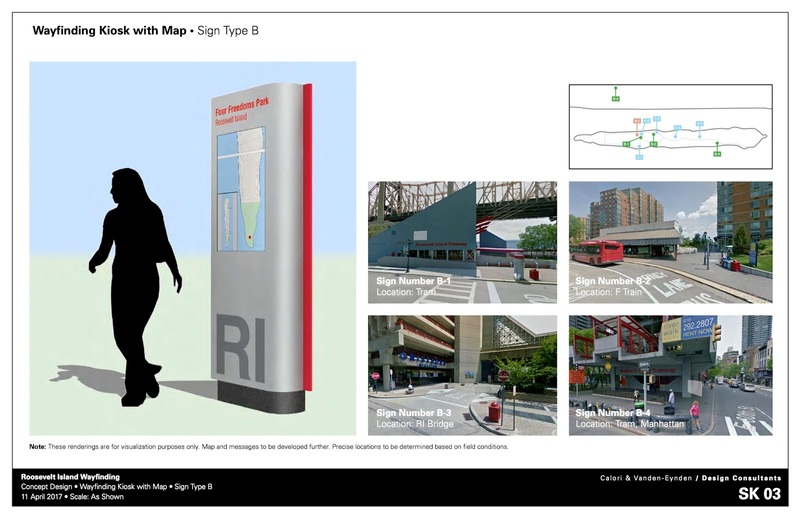 Hopes were high in September 2010 for a Roosevelt Island bike sharing station when the Roosevelt Island Operating Corp (RIOC) undertook a demonstration here. Citibike stations are already located in nearby Long Island City. 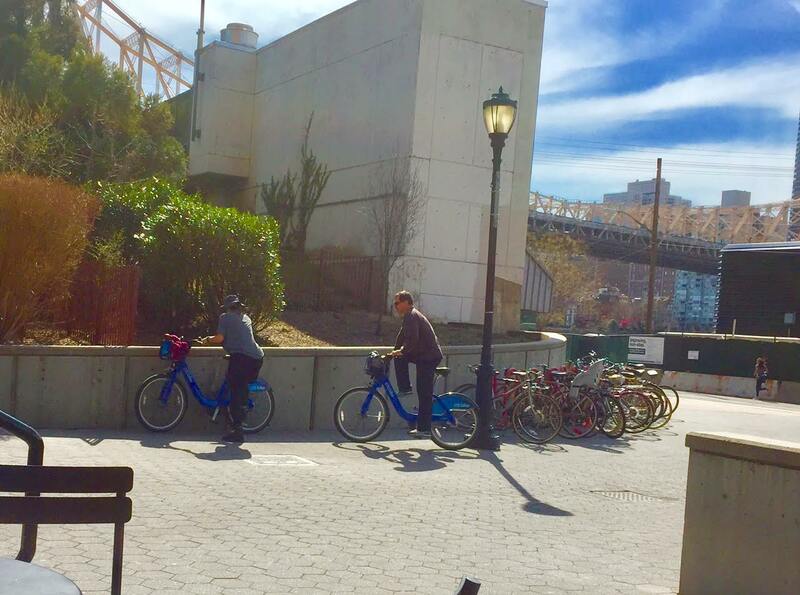 Will Citibike ever install bicycle sharing stations on Roosevelt Island? 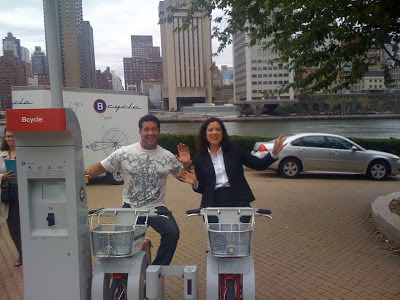 I asked Roosevelt Island's NYC Council Member Ben Kallos, a long time supporter of Citibike stations on Roosevelt Island. 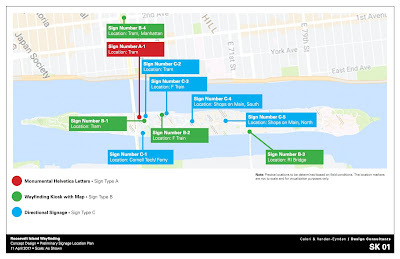 Roosevelt Island began investigating the options of a bike share in the summer of 2012 when the city first launched its program. With the ongoing support from the community, Citibike docking stations were requested for R.I., more than any other zip code in town. The community deserves to be a part of this successful initiative. Bike share systems provide sturdy bikes at self-service docking stations and are available 24/7. It’s a great alternative means of transportation and is a quick and healthy way to get around the island. We are currently exploring bringing CitiBike to Roosevelt Island jointly with the Roosevelt Island Operating Corporation (RIOC), the Department of Transportation (NYCDOT) and Motivate. before entering Motorgate Garage would work? 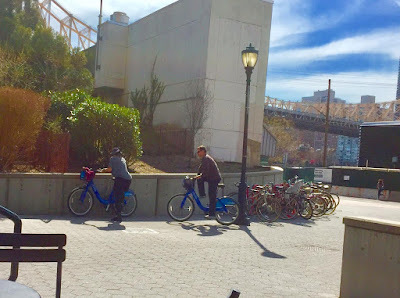 UPDATE 4/19 - Except, I don't think we want Roosevelt Island jam packed with tourists on bicycles. 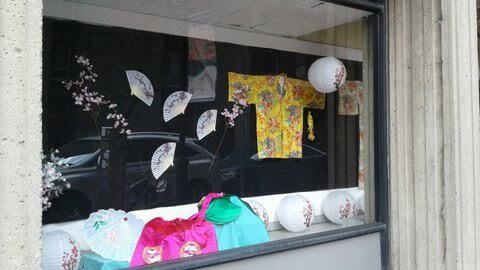 This year the Cherry Blossom Festival will be held on Saturday, April 29th from 12 Noon to 5 p.m. 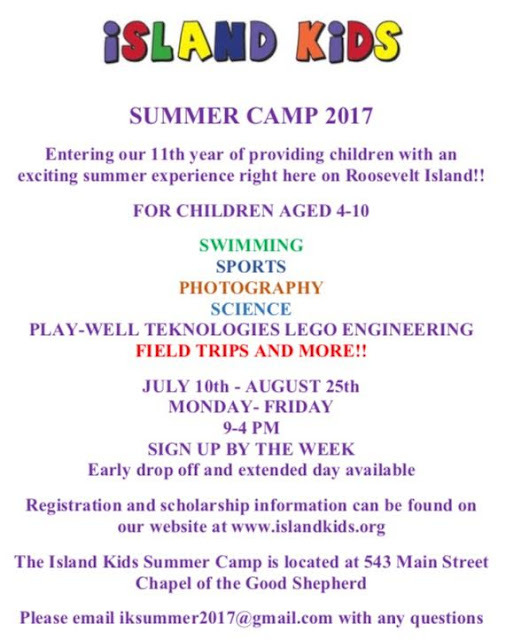 The festival is a multi-organization event with many island organizations taking part including RIOC, RIRA, parents groups and many more. 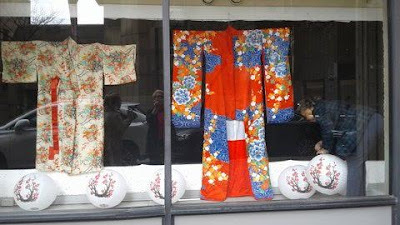 A full schedule of the days' events will be published soon. See you at the April 29 Roosevelt Island Cherry Blossom Festival!!!! The Roosevelt Island Residents Association (RIRA) is conducting an election on April 17 & 18 to provide NY State Governor Andrew Cuomo with nominees for selection as Roosevelt Island Operating Corp (RIOC) Board of Directors. and adds that volunteers are still needed to cover the election sites. Please email Ms. Short if you are interested in volunteering to help with the election. urged residents to vote and ask their neighbors to vote as well. 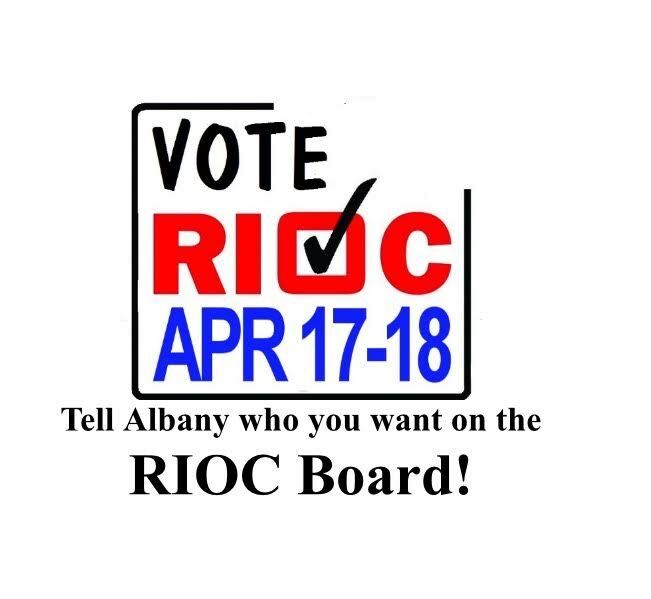 According to Ms. Short, RIOC President Susan Rosenthal does not see need for the election because the RIOC President works for the Governor and the Governor selects the RIOC Board. Ms Short believes that the RIOC President and Directors should work for the Roosevelt Island community first and foremost. Below are statements and biographies of the RIOC Board nominee candidates. Note that the candidates are not running against each other but to fill vacant or currently expired Board Director seats. You can vote for one candidate or all of them in order of preference. I am so proud to take part in this important opportunity to represent my fellow residents on the Roosevelt Island Operating Corporation Board. My wife and I fell in love with the Island community and have made our home here. 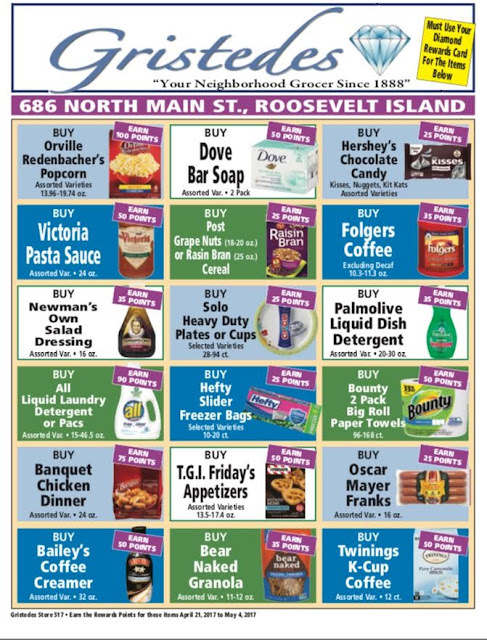 We live here, shop here, park our car here, educate our son here (RIDN), and make ample use of the Island’s resources. 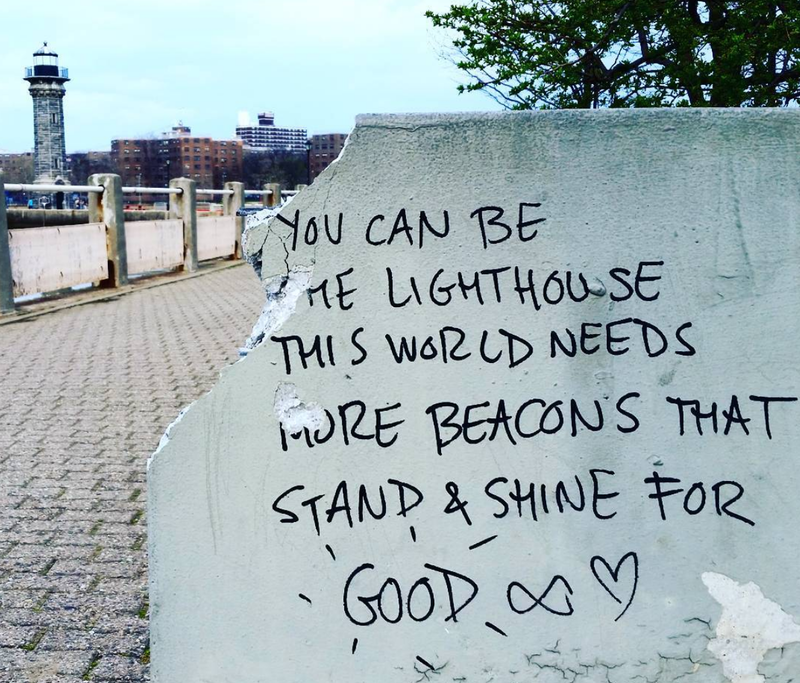 We certainly enjoy the convenience, the diversity and the charm that is Roosevelt Island but firmly believe that we need a stronger voice in Albany. I am fervently passionate about education and public safety as well as ensuring that our community retains its appeal to tourists, visitors and now our Cornell Tech neighbors while addressing commercial growth and quality of life in a proactive way. It is no secret that New York taxes are among the highest in the nation and the Island affords us great services but there are many improvements needed particularly with the anticipated population increase. The use of impact funding and allocation of resources should involve voices from those who are most affected; our Island residents. Serving commercial or political interests should not mean neglecting our at-risk populations and we should not stand idly by while increased demands on parking, sanitation and maintenance, public safety and security, recreation programs and spaces go unaddressed. As a Marine and a Special Operations Officer I understand the intrinsic value that such a position holds. The responsibility to represent the community without regard to labels, party affiliation or special interests is paramount to our success. I believe in proactive and collaborative leadership and in expressing the voice of our community with honesty and integrity no matter how unpopular the message may be. I am at your service and hope that you will see fit to consider me for the RIOC Board. Eduardo Jany is a first generation immigrant and native of São Paulo, Brazil who moved with his family to the United States in 1968, was naturalized a U.S. Citizen and speaks fluent Portuguese and Spanish. 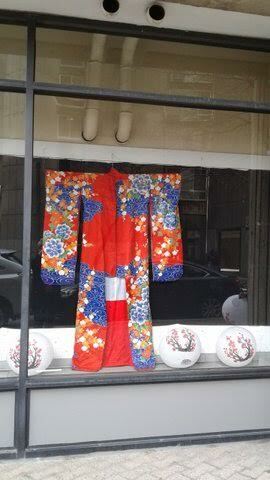 He has lived in four different countries and settled in New York City after being promoted to his current position. Eduardo spent the bulk of his working life in public service and is a retired police officer and career Marine who now directs Security Operations for Bloomberg in the Americas with an area of responsibility which includes the global headquarters and more than 45 facilities with over 10,000 people in ten different countries. He is also Bloomberg’s Director for Global Health and Safety. Prior to joining Bloomberg, Eduardo provided consulting and advisory services for international security and law enforcement projects with special emphasis on Brazil for the 2014 World Cup and 2016 Olympic Games. He retired as a Colonel from the Marine Corps having served 33 years of combined active and reserve duty in Special Operations, Anti-Terrorism, Reconnaissance and Infantry assignments and had prior enlisted and commissioned service in the U.S. Army Special Forces. He had over seven years of overseas deployments and Commanded the Anti-Terrorism Battalion, at the time the largest Battalion in the Marine Corps. He also retired from law enforcement as a Captain - Assistant Chief of Police after more than 20 years of active police service in Florida, Minnesota and Washington State. Eduardo was wounded in the line of duty during a high-risk SWAT operation in 2003 but made a full recovery and returned to active service and several deployments overseas. He received a Master’s in Criminal Justice from the University of Wisconsin, Platteville and attended the University of Minnesota for undergraduate studies. 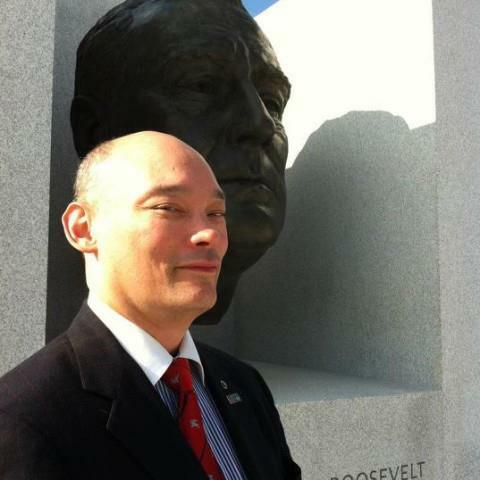 He was a 2013 Senior Executive Fellow at the Harvard University - Kennedy School of Government, and completed the Kennedy School National and International Security Senior Executive Program, the National Defense University Reserve Components National Security Program, and is a graduate of the United States Marine Corps Command and Staff College. He was the recipient of the Bronze Star Medal, Defense Meritorious Service Medal, Joint Meritorious Service Medal, several US and foreign awards as well as the Police Medal of Valor and Officer of the Year-Excellence in Service Award. 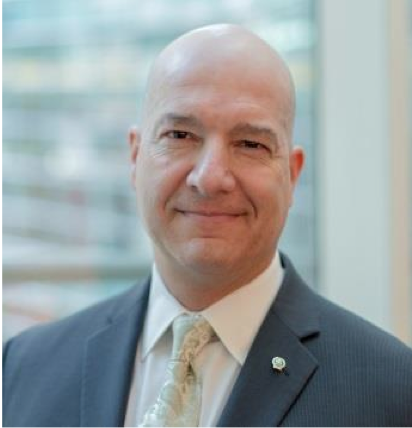 He is a volunteer mentor with ACP assisting with Veteran’s outreach, is on the Executive Board of the Overseas Security Advisory Council – Latin America Committee, the Domestic Security Alliance Council, and is an active member of the Citizen’s Crime Commission of New York City. He is married to Luciana Pinheiro, a former US Embassy Staff member in Brazil and has a baby boy who attends RIDN and two daughters. 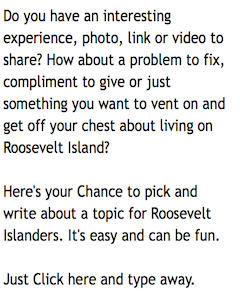 Hello, my name is Brian Bower, and I'm a native New Yorker and a resident of Roosevelt Island since 2010. I have worked in data analysis and risk evaluation at Thomson Reuters for the last 2 years. 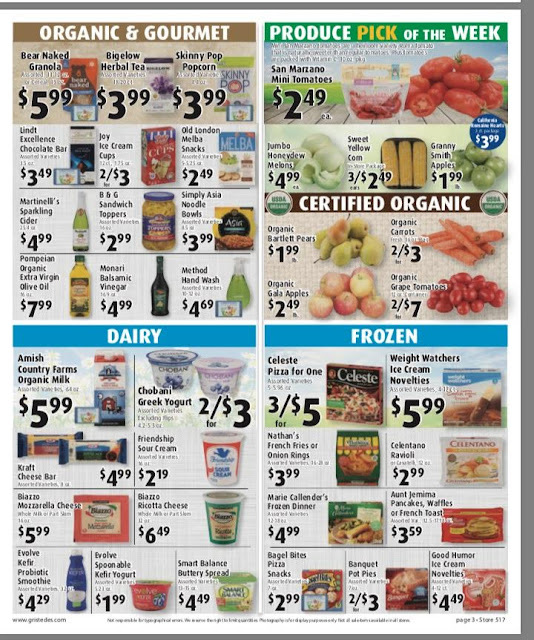 I got married in 2016 and am an enthusiastic cook for my wife; you will see me every Saturday frequenting our Farmer's Market to pick up fresh produce for the upcoming week. Having lived on the Island for the last 7 years, I have become increasingly concerned with the maintenance of the Island's public spaces, facilities, and the allocation of our resources. I believe that the Island's resources should be maintained for our community at a higher standard, and that our Public Safety department needs to be sufficiently funded and staffed, especially given the upcoming opening of Cornell's facilities. It is also essential that we fill the empty storefronts which litter Main Street. If appointed to the board, I will work to ensure the Island Residents' interests are represented in the financial decisions of RIOC. Thank You, and I hope to be able to represent our community. Being part of the solution and not part of the problem – that’s why I’m running for the RIOC Board of Directors. My training and education is in Operations Research, with undergraduate and graduate degrees from Columbia University’s School of Engineering and Applied Science. The goal of Operations Research is to apply mathematical efficiency to organizations and processes. Early in my career, I worked in multinational financial organizations: Citibank, HSBC/Marine Midland Bank and Swiss Bank Corporation. I had increasing project management responsibilities interfacing with all levels of multinational business, trading floor, IT and operations management. The last 19 years I’ve been a college math professor, working at the Vaughn College of Aeronautics and am currently developing a pilot program for developmental math students at CUNY. I’ve been an active member of the Roosevelt Island community: Treasurer of the Island House Tenant’s Association, President and Treasurer of the PS/IS217 PTA, and Treasurer of the Main Street Theatre and Dance Alliance (MSTDA). My activities at Hope Church are an important part of my life. I’m deeply committed to the objectives of the church. I’ve raised 3 children who have all attended PS/IS 217, two of them are now in college and my youngest attends Eleanor Roosevelt High School. I urge all of you to vote in this important election. Participate by using your voice to select your community leaders. Then consider how else you can be part of the solution and not part of the problem. Marc Block has lived on Roosevelt Island since 2005, with his wife, Fang Block, and two daughters, Hannah and Jacqueline. Marc is an active member of the Roosevelt Island Community, regularly coaching both soccer and baseball, and has served on the board of directors of several non-profits. Marc is a litigation partner at the law firm of Littleton Joyce Ughetta Park & Kelly LLP, where he represents clients in complex commercial, intellectual property, securities and real estate litigation domestically and abroad. He also serves as a Neutral with the United Nation’s World Intellectual Property Organization. Marc is a former professor at the Fashion Institute of Technology's Foundation Center for Continuing Education, guest lecturer on legal and business issues facing fashion designers at Parsons New School of Design, and recent past President of the International Intellectual Property Society. 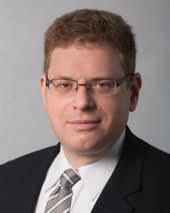 He authored the following articles: (1) The Benefits of Alternate Dispute Resolution for International Commercial and Intellectual Property Matters, 44 Rutgers L. Rec. 1 (2016) (Publication Pending), (also to be available at http://www.lawrecord.com (all rights reserved)); (2) Nissan Motor Co. v. Nissan Computer Corp.: Ninth Circuit Construes the Federal Trademark Dilution Act, 13 N.Y. St. B.A. 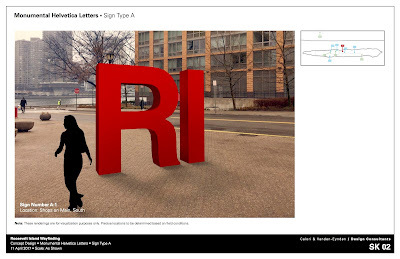 Bright Ideas 3 (Winter, 2004); and (3) When are Ideas Protectible?, 18 N.Y. St. B.A. Bright Ideas I (Spring, 2009). Michael Shinozaki was appointed to serve on the Board of Directors of the Roosevelt Island Operating Corporation from 2004 to 2009 by Mayor Michael Bloomberg and Governor George Pataki. He was re-appointed to the Board by Governor Patterson in January of 2010. He holds dual Bachelor's Degrees in history and international relations, an honors BA/MA in economics/applied mathematics and a Master's degree in financial economics from the City University of New York. He is a Senior Architect in the financial services and government sectors for the Microsoft Corporation. 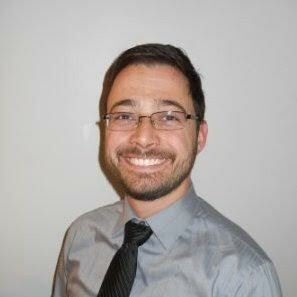 His primary areas of specialization are data network communications, security, and data center design and operations. Prior to joining Microsoft he worked for Price Waterhouse, Citigroup, and JPMorgan. 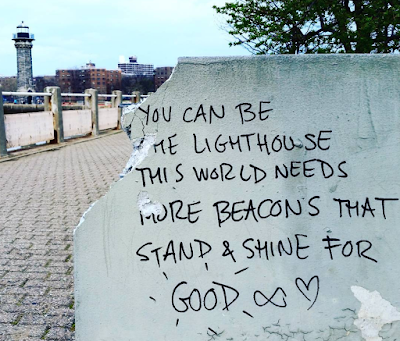 He has lived in New York City since 1986 and on Roosevelt Island since 1991. 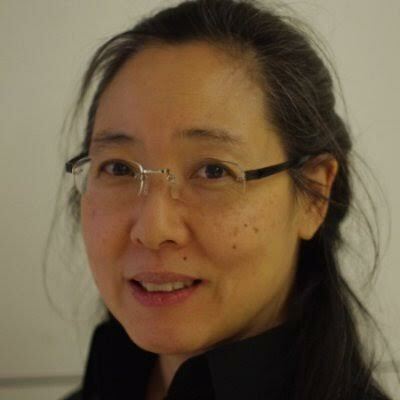 He is married to Lynne Strong-Shinozaki and has 3 children. He is an Eagle Scout, a Civil Air Patrol Spaatz Award recipient, and was cited by the American Legion and National Sojourners Society for leadership and military excellence. During the summer of 2010 he had the honor of serving with the US military as a civilian supporting operations in Kabul, Afghanistan. Here is video of the April 12 RIOC Board Director Nominee Candidate's Forum. I went to the Forum skeptical of the election but came away very impressed with the candidates. Following presentations by the candidates, the Roosevelt Island residents in attendance asked questions. 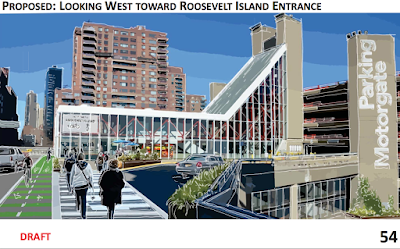 With a magic wand, what one Roosevelt Island change would the candidates like to see? Budget priorities, pets, traffic, public safety. Infrastructure maintenance, RIOC Accountability, independence from Governor's Office. Is RIOC Board a Rubber Stamp for the Governor or independent? Better use of open space, ball fields and recreational space for residents. Cornell Tech, Transportation, Youth Community Center. Balance being an independent RIOC Director with the interests of NY State. 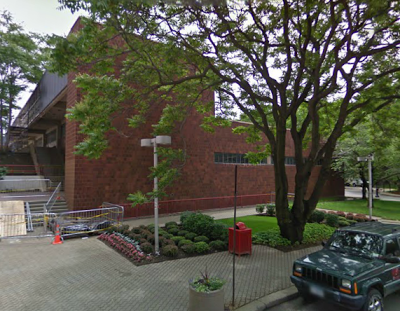 Former Mayor Mike Bloomberg's interest in Roosevelt Island and end of the Forum. 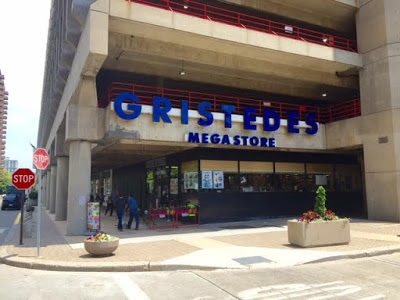 The candidates should be thanked for their willingness to serve the Roosevelt Island community. Take a few moments on Monday and Tuesday to cast a ballot. More on the RIOC Board Director nominee election at this previous post.